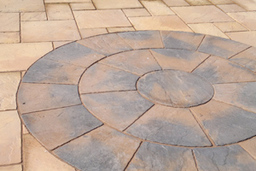 McDonald Blockdrive specializes in high quality paving and stonework, including drives and patios. 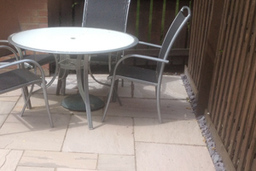 We offer professional patio installation, giving you the perfect place to relax. 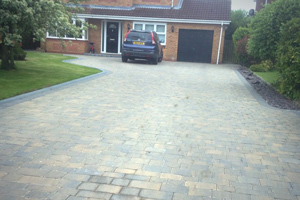 We can deliver a great looking driveway of the very highest quality. For more than 40 years we've laid block paving drives, always providing a first class, punctual service and the most meticulous workmanship. Over the last 40 years we've continued to develop the methods we use for laying driveways and paving. 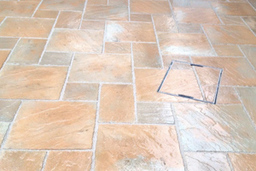 We currently utilize a unique system that involves laying concrete foundations before adding brickwork and block paving. This helps eliminate sunken drives and unwanted weeds. We specialize in crafting wrought iron into high quality, attractive pieces that will set your garden out. All wrought iron pieces we create are of the very highest quality and fully guaranteed. Wrought ironwork is ideal for adding a touch of style when it comes to finishing a garden. We strive to keep our prices competitively low ensuring you receive great value for money. McDonald Blockdrive offers a number of high quality options when it comes to stonework. From touching up external stonework on your house to creating garden features, including gate supports, we can help you with what you're looking for. Macdonald Block drive offers you the very best in paving and driveways.